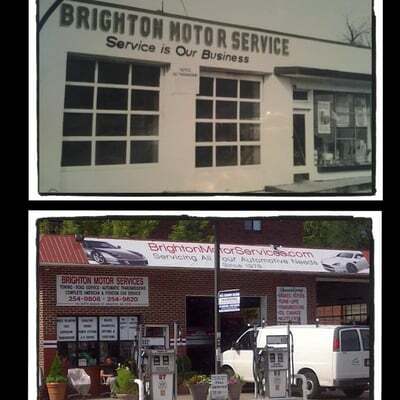 Brighton Motor Service is a full-service preventive maintenance and automotive repair center. We perform high quality, guaranteed service you can trust at a fair price. We repair domestic and foreign vehicles of all ages and are a good choice for scheduled maintenance and overall general repair of your car, SUV, truck and fleet vehicles. We can provide on the spot repairs that are often half the cost of competitors. From welding exhaust's to complete brake jobs and engine replacements we offer a variety of service's with some of the best prices around. Family owned and operated since 1979, we use all the latest equipment to guarantee your vehicle is in good working order. We only use quality replacement parts that we can stand by, and our technicians are experienced and qualified to address any repair your vehicle may need quickly and cost effectively . Call us at (617) 254-9620 to schedule an appointment or just stop on by. BE SURE TO VISIT US ON YELP!